Welcome to our newsletter archive, a valuable resource that we use to communicate with all of our Friends. 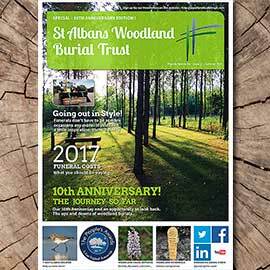 If you have not yet registered as a Friend of the Trust, please do so, we can then keep you informed of developments at the woodland. Newsletters are presented in reverse chronological order - the latest first. New glades, new map. 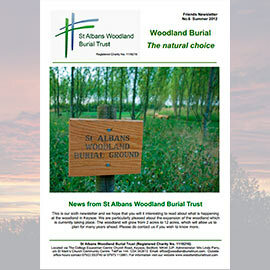 Nature conservation focus plus a spotlight on Fungi in the woodland. A glimpse of the stunning flora and fauna now making an appearance and more. Hard working volunteers really do make a difference! The new glades are really taking shape and we would love your views on a new Memorial lodge. Last years Open Day, Diocese of St Albans ‘Celebrate 100’. We also selected the three new glade names! 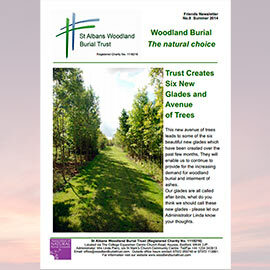 Trust creates 6 new glades and avenue of trees! Another 9.4 acres opened giving us 12 acres of woodland already. Greatest protection possible under English Law. The woodland recorded its busiest year so far. We also had Volunteers from the RSPB visit, observe and record the different species of birds, 20 so far. First Owl box is up! 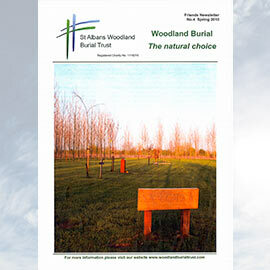 Announcement made to expand woodland. Planning permission granted and footpath to be moved. 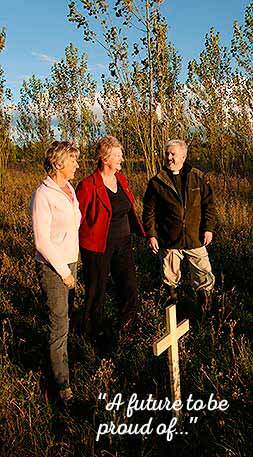 Excellent advice from Faith Woodland Communities on biodiversity. Goldcrest glade opened. 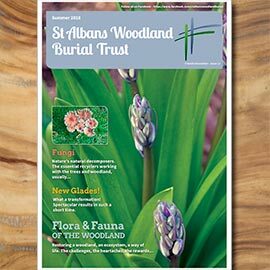 Interesting article on our memorial benches that are carved by local woodworker, Ed Burnett plus an insight into the new memorial Vases by Neil Kinselly. 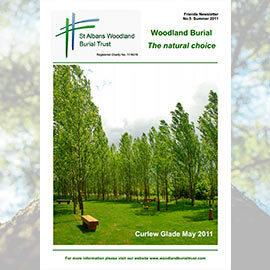 Choosing a funeral plan to take care of all your financial arrangements. 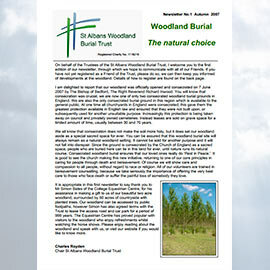 Trust seeks consecration of additional woodland and an interesting article about our memorials. 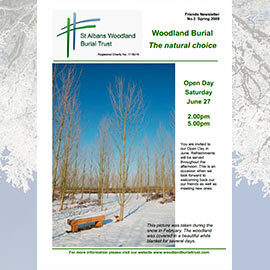 Open Day invitation for June. 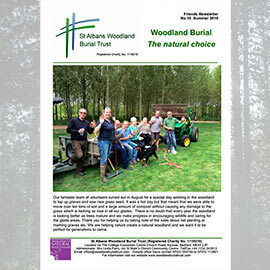 A great article on eco coffins. 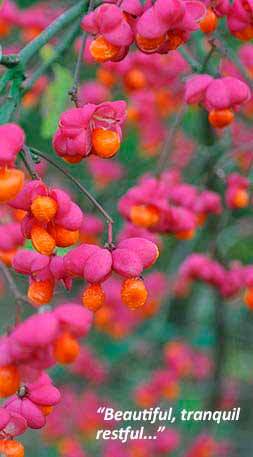 The last year has seen an increase in interest from media and public encouraging us to develop more glades. One year on. Open Day on 7th June. New roadway built. 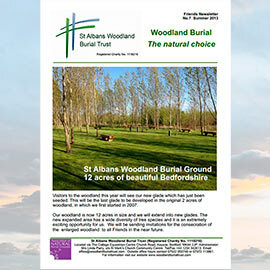 We also address the reasons behind choosing St Albans Woodland Burial at Keysoe as your final resting place. Our first edition! 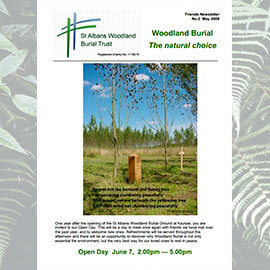 Woodland officially opened and consecrated on 7th June. One of only two protected woodlands. 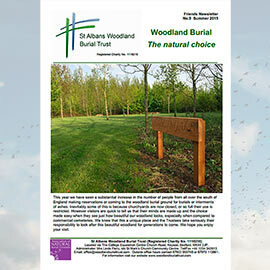 Reception details and why people are choosing woodland burials.